The demise of the big reciprocating steam engine had little to do with matters of efficiency but was mainly the result of labour costs. It is good that a representative selection of these engines has survived long enough for their true place in history to be realised. Now that a number of them are being restored and put back into steam, mostly by teams of amateurs, the public responds with increasing interest and often with a degree of wonder at the achievements of the engineers of a hundred or even two hundred years ago. 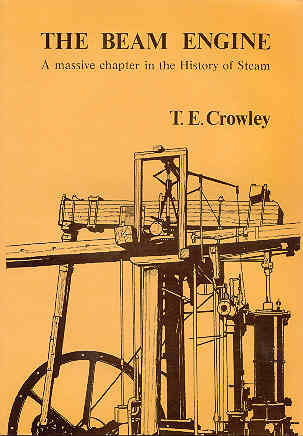 The beam engine, invented to pump water out of mines by Newcomen in the reign of Queen Anne, was later made rotational and used as a source of power for an incredible variety of purposes, as this book seeks to show. The Industrial Revolution depended utterly upon it and many hundreds of examples remained in constant use until the time of the Second World War, when lack of available labour and the urgent requirement for scrap metal practically annihilated the type. The author has traced those that remain and seeks to record them as portraits in iron, with some details of the history and the fascinating variety of design which characterise these great and highly individual monsters.